LOUISVILLE, Colo., March 9, 2017 – Inovonics, an industry leader in high-performance wireless sensor networks for life safety applications, announces the release of its new EN1244 wireless smoke detector. The new smoke detector addresses a market need by meeting UL268 (Smoke Detectors for Fire Alarms) and California State Fire Marshall (CSFM) regulatory approvals. 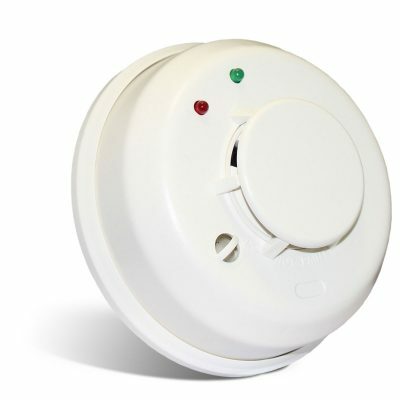 The EN1244 wireless smoke detector features an onboard sounder, an LED indicator, tamper and local test. It’s also monitored by the EchoStream® network, alerting the user when sensor maintenance is needed or the battery is low. The EN1244 has separate SKUs for United States, Australia and New Zealand and is available with a 60 minute check-in for UL2560 Sr. Living applications. For more information, please contact Nikki Williams by email at nwilliams@inovonics.com or by phone at 303-209-7219. Inovonics, celebrating 30 years of commercial wireless leadership, provides wireless intrusion and mobile duress devices, senior living and submetering transmitters, environmental sensors, and receivers for integration into a variety of application specific hardware and software. Supporting installation of thousands of devices across a campus, the EchoStream® family of high-power repeaters combine to create an intelligent mesh-like network extending the range of wireless coverage for commercial buildings. For more information, visit www.inovonics.com.